Founded in 1989, Scrigno is a leader in the design, manufacturing and marketing of exclusive counter frames for disappearing sliding doors and windows, 100% Made in Italy. The company is based in Sant'Ermete, in the municipality of Santarcangelo di Romagna (Rimini), occupying a site of 50,000 sq.m. Its production facilities are located in Savignano sul Rubicone, only a few kilometres away, with a total covered surface area of 30,000 sq.m. With 270 employees, 400,000 counter frames manufactured every year and exported to over 30 countries, Scrigno boasted a turnover of over 70 million euro in 2018 - 50% of which recorded abroad - and is positioned as a solid group on the market, as well as a benchmark for its sector. Since 2003, it has operated in the heart of France, at Montceau-les-Mines, through Scrigno France, since 2009 in Barcelona through Scrigno España, since 2014 in Prague through Scrigno SRO and, since March 2019, in Frankfurt with Scrigno Deutschland. The Group also operates in the security sector, through its subsidiary Master, producing over 30,000 security doors per year in its production site located near Piacenza (Italy), covering 20,000 sq.m. Since 27th June 2018, the company is part of the fund Clessidra Capital Partners 3, managed by Clessidra sgr, the leading manager of Private Equity funds exclusively dedicated to the Italian market. The operation opened a new path for Scrigno. Thanks to significant financial resources devoted to its expansion plan, the Group will pursue its internationalisation and diversification strategy with a renewed strength. Scrigno’s mission is to create excellent door opening systems that help to improve the quality of people’s lives and living spaces, making them more comfortable. Scrigno is an uncompromising promise of excellence. 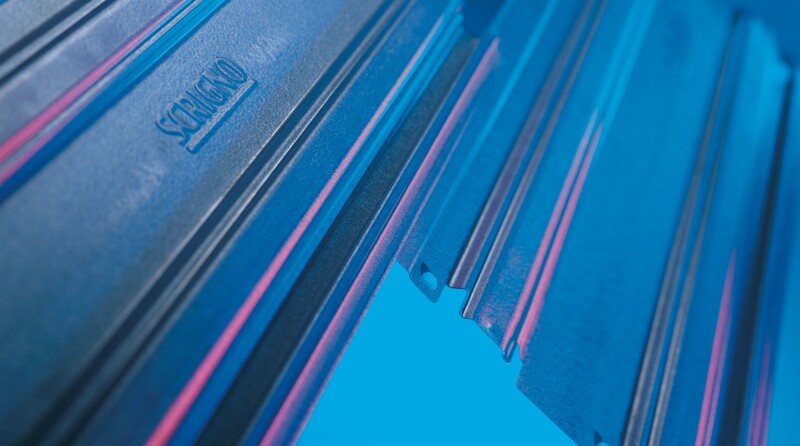 The experience developed over the years and a particularly successful presence on the world market have made Scrigno an undisputed leader in the production and marketing of sliding disappearing doors and windows. Scrigno's flexibility in the fields of both production and sales is one of its strongest business advantages. The company constantly pursues excellence and high quality to fully cater for final customers, dealers and designers, for which it guarantees a service at the highest level available on the market and continuous assistance with information updates. Scrigno currently exports its products to 30 countries. The domestic Italian market represents 50% of the group's turnover, with the foreign market accounting for the other 50%. France is the most important foreign market. Scrigno's production output includes frames for doors and windows, sliding and swing doors and a variety of accessories offering innovative solutions to save space in homes and other buildings. 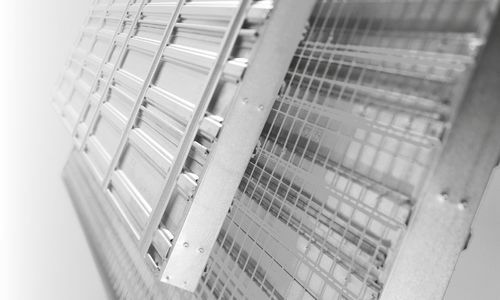 The product ranges consists in three lines: Scrigno Gold, the top of the range; Essential by Scrigno, characterized by its minimalist design; and Doortech, the line of sliding door frames for interior use developed specifically for large-scale construction projects and professional applications in general. Each of these three lines is able to satisfy the specific needs of the market, both for product types and price. Scrigno produces about 400.000 frames a year. Scrigno's guiding principle is extremely high product quality, and over the years this has been constantly improved to allow increasingly higher standards of absolute excellence to be achieved. Innovation is therefore a vital factor for the company, emerging in constant improvements in the choice of materials and assembly processes, aiming to explore new manufacturing horizons that are always new and different. Scrigno is committed to a continuous and attentive dialogue with designers and architects, to ensure that the continuously evolving needs of the market are satisfied with the best and widest variety of products. Scrigno dedicates particular attention to the enhancement of the organization, skills and professional motivation of its workforce. At present the company has 270 employees, with a strong presence of highly specialized and qualified personnel.